Buttercup Cabin sleeps two people and is perfect for a romantic getaway or a luxury retreat. It is set within its own maintained grounds and has beautiful views over a large private pond. The cabin has one double bedroom, a bathroom and kitchen living area. Guests have access to the full cabin, surrounding garden, private parking and large pond. 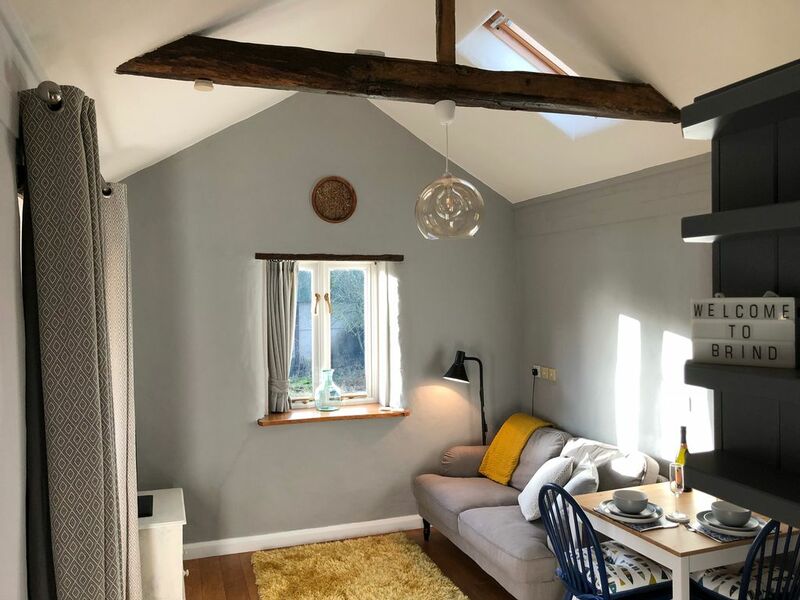 The cabin is located in Brind, a small hamlet 3 miles from the market town of Howden and within close proximity to the picturesque city of York. Howden Train station is one mile from the Cabin and has superb links with local towns such as York, Hull, Leeds. Regular trains also run between Howden and London Kings Cross taking just over two hours. We had a lovely break at Buttercup Cabin. A comfortable, cosy retreat with everything we needed. Beautifully decorated and spotlessly clean. The location is gorgeous, quiet and secluded with a fish pond right outside. Joe is the perfect host and there was a welcome hamper for our arrival. The perfect base for exploring the area. We highly recommend this one!